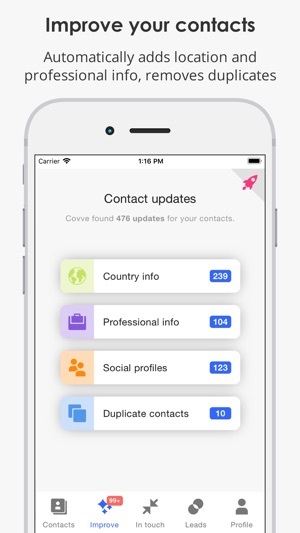 Covve helps you effortlessly stay in touch and make the most of your contacts. - Your data belongs to you and you will always be able to delete your data from our systems. - We never resell, share, or expose personal information about you or your contacts without your consent. 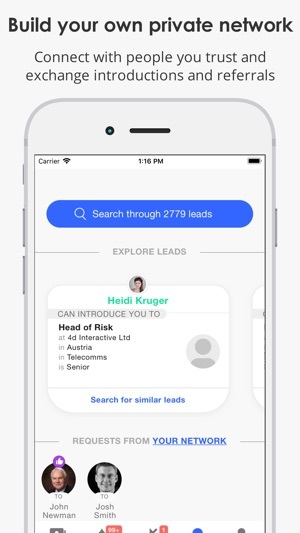 - You only share data with contacts you’ve elected to connect with. Covve is a free service. Advanced users can access specialized functionality by subscribing to a Pro account. You can get your monthly Covve Pro subscription through the app for $6.99 (monthly) or $58.99 (annual) (prices may vary depending on country; you’ll see the price before completing payment). Fixes a stability issue affecting a handful of users when they visit their news list. Lastly, please. Please. Please. 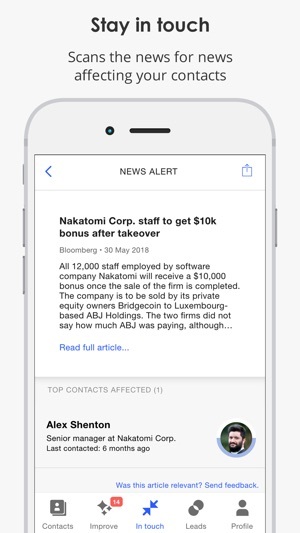 Let us add RSS / Website updates / notifications etc for our contacts. It’s frustrating using your sources. I want to be able to use my own. 1)	Scheduling WHEN the app reminds you to get in touch: You can change the day and time of your in-touch reminders through your settings. You can also tell Covve to give you a second reminder towards the end of the week with any followups that are still outstanding. 4)	Ability to type the specific/actual location: This is also now possible as we’ve added support for full addresses! Hope this helps and please feel free to write to me at alex@covve.com if anything else comes up! 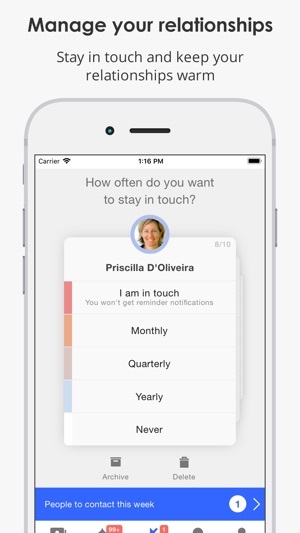 The app is promising to be 5 Stars in that it seems handy as a CRM solution in your pocket. However, 1 Star rating off since the app takes so long to open - literally nearly 15 seconds that I end up moving on to another task. By the time I return, I’ve lost the momentum needed to check updates, leave a phone note, etc., The other loss of a Star is due to not being able to easily print or export notes for individual contacts. I need to log my client calls and so far I am not able to print a log. I hope this feature and the other issue with app launch speed is addressed soon. Until then, I have not been too thrilled with my purchase. Alex here, CTO at Covve - thanks for all the great feedback! 1)	Loading time: What you report is really really unusual. The app loading time does vary from device to device and also depending on the size of your addressbook but for average addressbooks of around 1000 contacts it typically takes 2-3 seconds. Please do reach out to us at support@covve.com as I’d like us to look into your specific account! This app will go to the moon! When it coming to keeping in touch, I'm impressed. 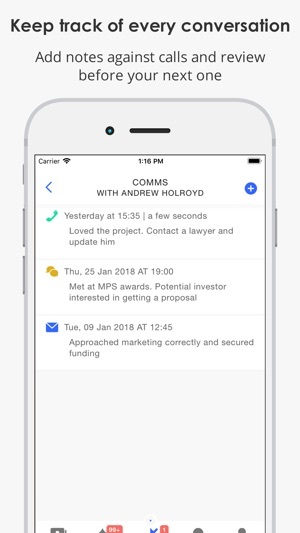 They have a concept that works and streamlined process for not only keeping in touch but also adding new contact in a heart beat through both basic input or business card. Best part is, it's syncing with your native contacts as well.